The cover captures the pyramids of the Kushite rulers of Meroe, the Southern Capital of the Sudanese Napta / Meroitic Kingdom (800BC-350AD) which had a strong iron industry and international trade with China and India [http://en.wikipedia.org/wiki/Mero%C3%AB]. Also shown is the Meroitic script, the indigenous alphabet consisting of 23 letters, which has been developed in the Naptan Period at about 700-300BC. 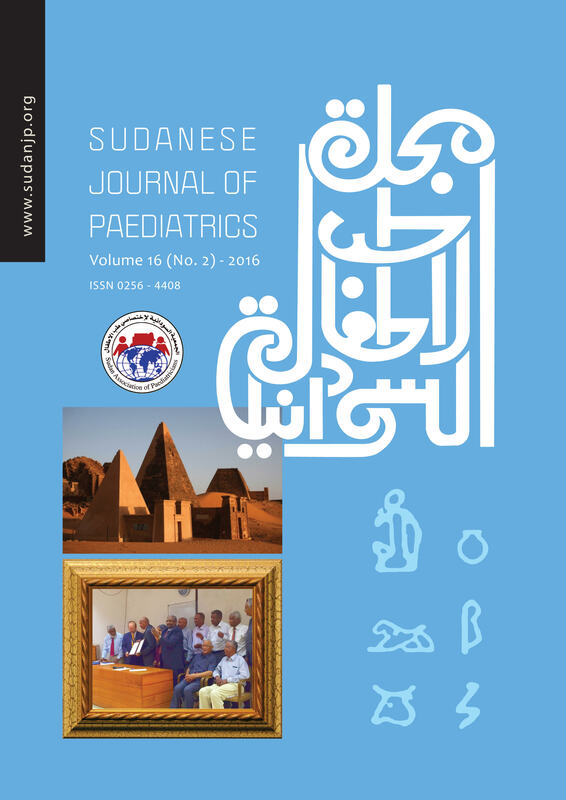 The Arabic script of the “Sudanese Journal of Paediatrics” was designed in 1984 at the Sudan University College of Fine Arts by Taha El Atta, PhD. The framed picture commemorates the signature of the Memorandum of Understanding between the Royal College of Paediatrics and Child Health (RCPCH), UK and the University of Khartoum (U of K) in April 2016; which was attended by pillars of child health at the U of K. To learn more see Editorial.